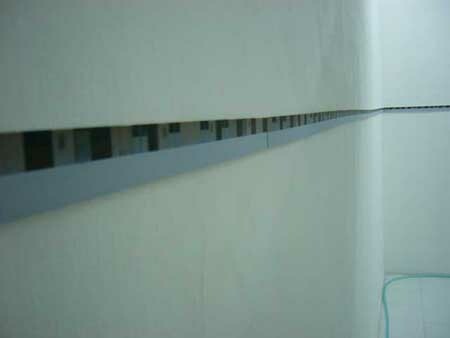 In the tropical world of Singapore, where the air-conditioner is hailed as the greatest invention of the century, the landscape has been described as one of being either air-conditioned or non-air-conditioned. In the heat of the day, people wear overcoats, because they are shielded from the heat by tinted glass, wrapped in the cool blast of the air-con above. It is no wonder that we take the air-conditioner for granted and the heat as a nuisance. 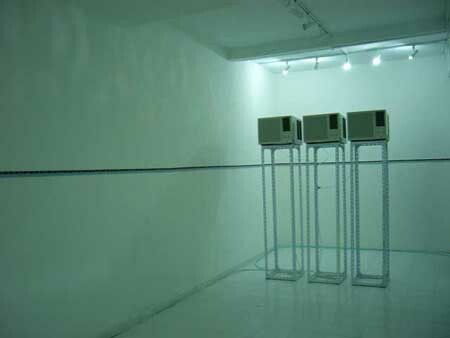 “Sixteen Degrees Centigrade Reconditioned” explores the air-conditioning of a nation. The issues and the extent of air-conditioning on the minds [or lack of it] of society. Presented as an installation, local artist and lecturer Paul Lincoln’s solo exhibition critics the implication of this reliance on air-conditioning and the obviousness of its recipients. 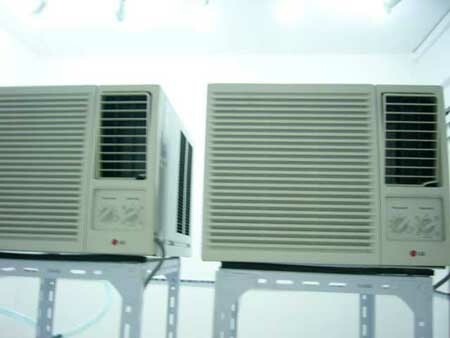 Three air-conditioners are placed in a space and left to run. 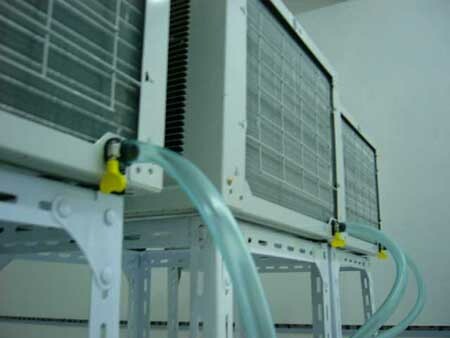 Left in an internal space, the condensers expelling the extracted heat into the same space where coldness is intended to circulate, creating a flux of warmth and coolness in a single space. Flanked by the heartland of public housing, the tactile installation brings point not just via a visual mode, but by a physical one too. The layering of irony was extended to another part of the installation set up at the Esplanade whereby a fan was placed oscillating in front of an image of public housing. Questioning. Feeble attempts and the scale of the efforts? “Sixteen Degrees Centigrade Reconditioned” challenges the viewer to read more into what we seldom take notice of, but constantly feel the need for. The ideal comfort level is twenty-four degrees. Against the utopian background of how air-conditioning allows the control of the indoor environment, it questions if it has instead inversely controlled us. At sixteen degrees centigrade, our obsession has distorted our reality.